Welcome to our ladies cufflinks department. 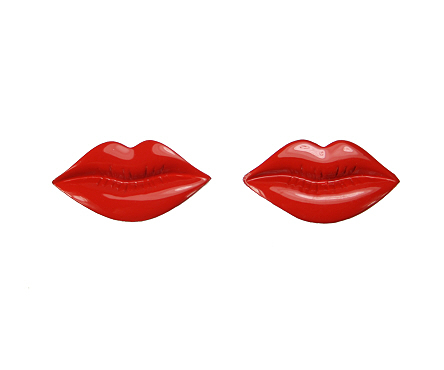 Luscious red lips ladies cufflinks with silver coloured t-bar fitments. Boxed. A feminine pair of flower design cufflinks covered with small crystals in a silver setting. T-bar style. Gift boxed. A fun pair of pink wellington boot cufflinks with a white polka dot pattern.